Why Have I Included Them in My Diet? I struggle to wake up in a morning, I am the textbook definition of not a morning person! Throughout the day my energy levels seem to remain particularly low and I feel tired and run down pretty much constantly. My friend suggested these seeds as they are a good source of energy, and also calcium which I am definitely lacking in. These Chia Shots from The Chia Co. we're on offer in Tesco 3 for £1 so I figured they were worth a try. How Have I Been Eating Them? Currently I am having them in a morning for breakfast on a bagel, they have little taste to them so they don't affect the taste of the food you are eating. They do however make the food a bit more crunchy which for me has not been an issue. You can mix these seeds in with pretty much any food you are eating. Have I Found any Benefits So Far? I have had these seeds in my diet for just about a week and already I feel my energy levels have increased! I am finding it easier to wake up in a morning - even before my alarm which is unheard of! As nothing else in my lifestyle or diet has changed it is definitely these seeds that have had some effect. I am also feeling fuller for longer in a morning. Normally it gets to about 2 hours after breakfast and I need a snack - usually a bag of crisps. Since adding the chia seeds into my diet I feel fuller and haven't felt the need to snack on something unhealthy midmorning. Yes, I have only had them in my diet for a week and already I have seen my energy levels increase. I am getting up earlier and easier in a morning currently. Another good positive for me and anyone else who is lactose intolerant is that these seeds are a good source of calcium. You don't have to eat them daily you can have them every other day or even when you fancy there is no restriction, they are an easy to mix in supplement. I wonder however, what the ratio between protein:carbohydrate is?? My bad my last comment was per 100g. 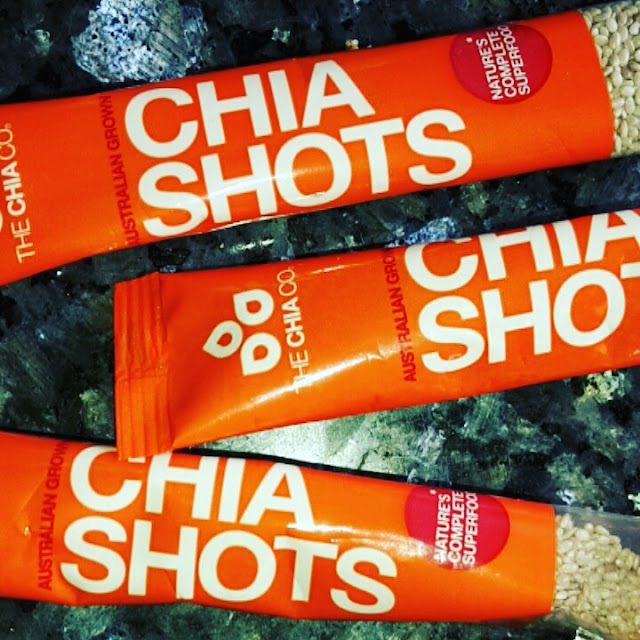 Each shot has 6g protein to 0.7g carbohydrate.